Match your mixes to your favorites automatically! The Master Match module is an entirely new type of plug-in that automatically matches the sound of your songs with up to 3 different source tracks used as a reference. This lets you create great sounding mixes or masters by capturing the overall sound of your favorite reference tracks and then applying it to your own music quickly and easily without even requiring audio engineering experience or specialized skills. Master Match calculates the spectral balance and perceived loudness of the reference tracks, analyzes them using highly sophisticated algorithms and then creates an exact match for your source mix, providing an editable ultra-high quality EQ curve and level adjustment. This can be achieved using Master Match as a stand-alone processor or at the end of a pre-existing processing chain, making it perfectly suitable as a powerful mixing tool. Master Match doesn't remove you out of the equation though and you are still under total control of the final result. It practically helps you providing useful information about the differences between your work and the tracks you are referencing it against. It “learns” their content and is able to immediately provide the best sounding combination of level and EQ adjustment. You are then free to apply just the right amount of processing using the T-RackS 5 tools you prefer, for adding color and character as well as to give your sound your personal touch. Ultimately, Master Match is an invaluable tool that will let you easily match the sound of your favorite songs while helping you improve your mixing, mastering and aural skills! The first step is the spectral and level analysis of your selected reference tracks. You can use up to 3 tracks which can be analyzed in different parts. The second step is the spectral and level analysis of your own track, which is done by clicking on “Learn Source” and pressing play on your DAW or in the standalone window of T-RackS 5. While it isn't necessary to learn your entire source track, the more time you allow Master Match to learn, the more accurate the analysis will be. 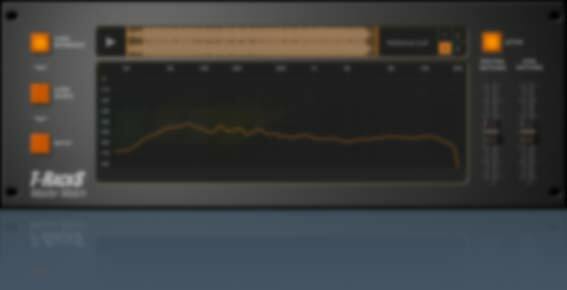 The last step is truly magical: click on Match and using highly sophisticated algorithms, Master Match then applies an exact sonic match for your source material, providing an ultra-high quality EQ curve that can be edited along with a level adjustment.